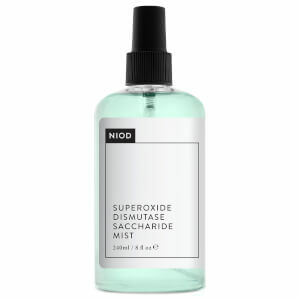 Improve the look of skin with NIOD Copper Amino Isolate Serum 2:1, the second generation of the brand's multi-award-winning Copper Amino Isolate Serum (CAIS). Tackling signs of ageing with an indirect approach, the effective serum distances itself from the traditional thinking of addressing visible skin ageing individually by instead, forming a foundation to respect skin health. The serum contains 1.0% pure Copper Tripeptide-1 (GHK-Cu), which is a naturally-occurring peptide that depletes with age (vital for a range of skin functions including collagen synthesis and immune function). To be mixed with a specialised activator before use, this extraordinary concentration targets visible textural damage, uneven tone, enlarged pores and radiance to promote an overall healthier-looking complexion. How Does it Differ to the First Generation of CAIS? Unlike the first generation, which contained direct GHK copper peptides (known as GHK-Cu), this second generation contains 2% of pure GHK peptide of which 1% branches with copper ions upon mixing with NIOD's patent-pending approach (this forms 1% freshly-assembled, pro-repair GHK-Cu (copper peptides) and leaves 1% free-form, pro-collagen GHK peptide.) Improving the look of texture, tone, pores and radiance, the serum promotes an overall healthier-looking complexion. 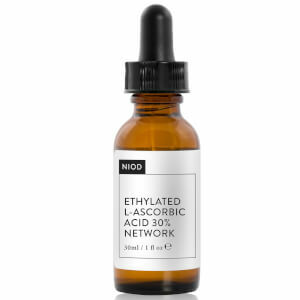 Formulated on a base of mono-dispersed, plant-derived Glycogen, penetration-enhancing Myristoyl Nonapeptide-3 and cross-linked Hyaluronic Acid, the anti-ageing formula helps to improve the look of skin texture and tone. Contains 9.0% Pure Undiluted Tripeptide-29, which works in synergy with GHK and GHK-Cu to support healthy collagen, plus 4.0% Complex of Acetyl Tetrapeptide-2 and Trifluroacetyl Tripeptide-2 to support firmer-feeling skin. pH 4.6-5.6. Free from alcohol, oil, silicone, nuts and gluten. 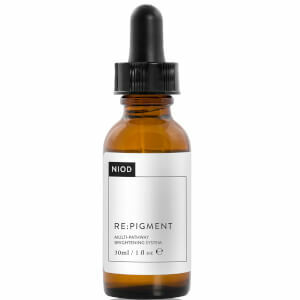 Recommended as a core NIOD regimen product to be used as the first step after cleansing before the application of other skin treatments. 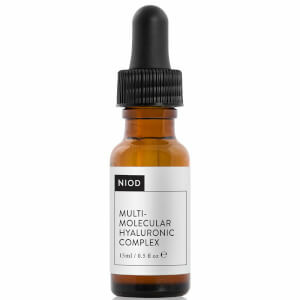 NIOD recommends the application of Multi-Molecular Hyaluronic Complex (MMHC) after the application of this product. Does not require refrigeration. Activator: Aqua (Water), Glycerin, Tripeptide-29, Tripeptide-1, Myristoyl Nonapeptide-3, Trifluoroacetyl Tripeptide-2, Acetyl Tetrapeptide-2, Sodium Hyaluronate Crosspolymer, Glycogen, Propanediol, Pentylene Glycol, Dextran, Dimethyl Isosorbide, Ethoxydiglycol, Isoceteth-20, Leuconostoc/Radish Root Ferment Filtrate, Caprylyl Glycol, Ethylhexylglycerin, Phenoxyethanol, Chlorphenesin. Copper Concentrate: Aqua (Water), Copper Gluconate, Isoceteth-20, Phenoxyethanol, Chlorphenesin.